A new exhibition SKINT! Making do in the Great Depression opens on 27 March at the Museum of Sydney and for Seniors Week, during the weekend of 27 & 28 March, seniors receive free admission to the exhibition. Skint! Making do in the Great Depression explores the spirit and flavour of life in Sydney in the 1930s: the community spirit and political activism, everyday life and key events and personalities of the period. It brings together evocative images, objects, oral histories and film to help us understand the story of Sydney in the Great Depression. Quilt historian, Dr Annette Gero will be talking about waggas at the Museum of Sydney on Sunday, 18 April from 2-3pm..
Australian traditional and contemporary quilters have the opportunity to enter the 2010 World Quilt Competition and have their work tour in the United States from August to November. The World Quilt Competition entries will premier at the World Quilt Show New England in Manchester, New Hampshire and then be exhibited at the Pennsylvania National Quilt Extravaganza XVII, the Pacific International Quilt Festival XIX in Santa Clara, California and the World Quilt Show Florida in West Palm Beach, Florida. Innovative & traditional entries compete for a range of awards with cash prizes. These include Best of World, Traditional first, second and third, Innovative first, second and third, Best Use of Colour, Best Hand Workmanship, Best Machine Workmanship, Best of Country if the country has 10 entries and Viewer’s Choice. In 2009 Australian Linda Steele received the Best of Country with her quilt “Crazy about Spring”. Down load the 2010 World Quilt Entry form or send a business size SSAE to World Quilt & Textile coordinator Sue Dennis at31 Shelley St, Sunnybank 4109 QLD. Deadline for entry submission is May 17, 2010. Entries are juried in the USA. Notification of entry success is by June 16 and accepted quilts must be delivered to the coordinator by July 7. Quilts are returned to exhibitors late December. 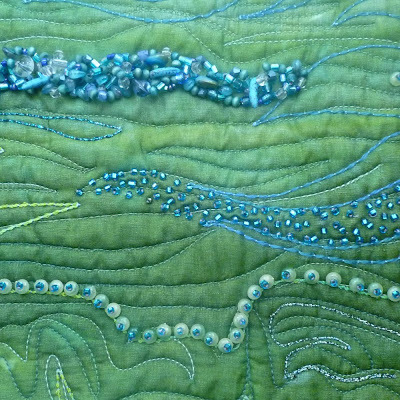 This workshop with Deborah Louie will be for advanced beginners and intermediate machine quilters at the Campbelltown Arts Centre on 12 and 13 August 2010 (Thursday/Friday) Beginner machine quilters will not be accepted. Maximum bookings will be 12/13 participants. Minimum bookings 10. You must have your own machine. The boom gate can be opened on request for easy access, if required. Set up time is 9.30am. The tutor will start promptly at 10.00am. Tutoring will finish at 3.30pm. Gallery closes at 4.00. Lunch time will be at the tutor’s discretion. There is a cafe on the premises. Tea/coffee/soft drink and biscuits will be available all day. Please bring your own cup. Workshop fees are $55.00 per day for members and $70.00 for non members. Two members of a member group may attend at the member's price. Book now to reserve your place. Download booking form or contact the office on (02) 9283 3737. Full payment confirms your place in a workshop. Come along to the Burwood meeting on Saturday, 22 May 2010 to see Brenda Smith's presentation about the Twelve by Twelve Collaborative Art Quilt Project. 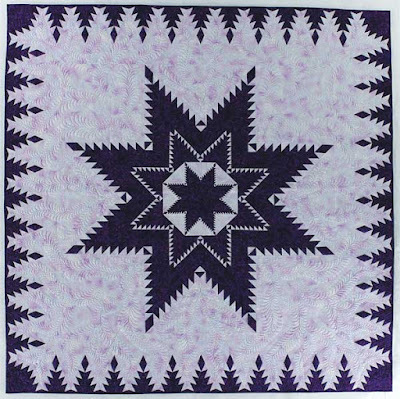 12x12 inches (30x30cm) is a remarkably versatile format and you are invited to bring along your own 12x12in quilt to share in a mini-exhibition for the meeting. This can be a quilt already in your collection or you are welcome to follow along with the next Twelve by Twelve Colourplay challenge - Kilauea , a palette inspired by the volcanos of Hawaii. The New Quilt is a biennial juried exhibition of contemporary quilt textiles presented by the Guild in partnership with the Manly Art Gallery & Museum in which many of our country’s finest quiltmakers have shown their work since 1991.
or contact the Guild office or Pamela Fitzsimons. Congratulations to Esther Aliu, Jenny Bacon, Susan Campbell, Lisa Walton and any other Guild members who have been selected as semifinalists in the 2010 American Quilters' Society Quilt Show & Contest at Paducah. Here is the full list of 2010 semi-finalists. Fiona Hammond, Julie Woods and Claire Ayling are presenting an exhibition “Quilts at the Cathedral” on the 13 and 14 March at St. Saviours Church Hall, Bourke St Goulburn between 10am – 4pm. The entry fee will be a gold coin donation. 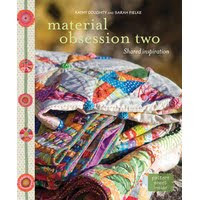 As well as the quilt show, there will have fabrics, beading supplies, threads and handmade crafts for sale. 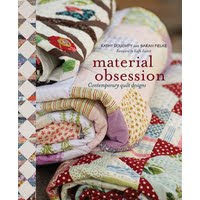 a selection of quilts from Kathy Doughty as featured in the popular books Material Obsession and Material Obsession Two. Do stop by the Guild stand to say hello.